A 12th century Greek Orthodox monastery, on the side of the road from Jerusalem to Bethlehem. 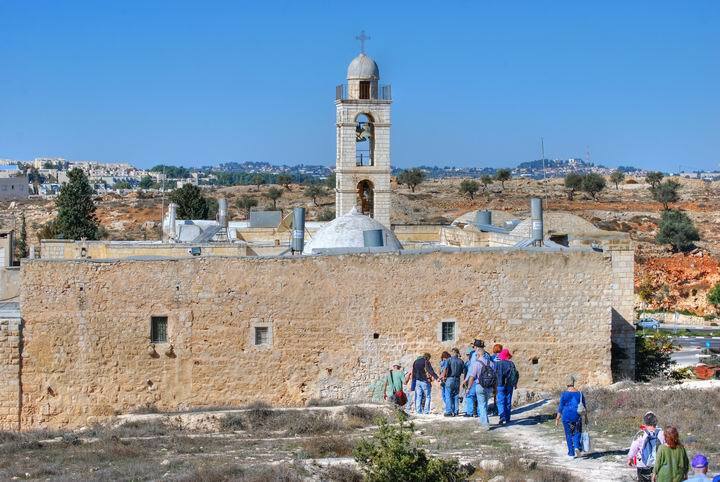 Built over the ruins of a Byzantine church, it serviced the pilgrimage route to Bethlehem. The monastery is named after Prophet Elijah (Elias), who according to tradition stopped here on his way to the south while fleeing from the anger of Queen Jezebel, after slaying the prophets of Baal on Mount Carmel. 1 Kings 19:2 -- "Then Jezebel sent a messenger unto Elijah… And when he saw that, he arose, and went for his life, and came to Beersheba, which belongeth to Judah…"
One of the most sacred caves in the Holy Land. 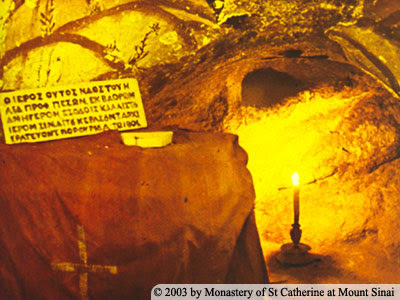 According to all faiths, this site was named after the prophet Elijah who was based in Mount Carmel, and he lived and hid here. 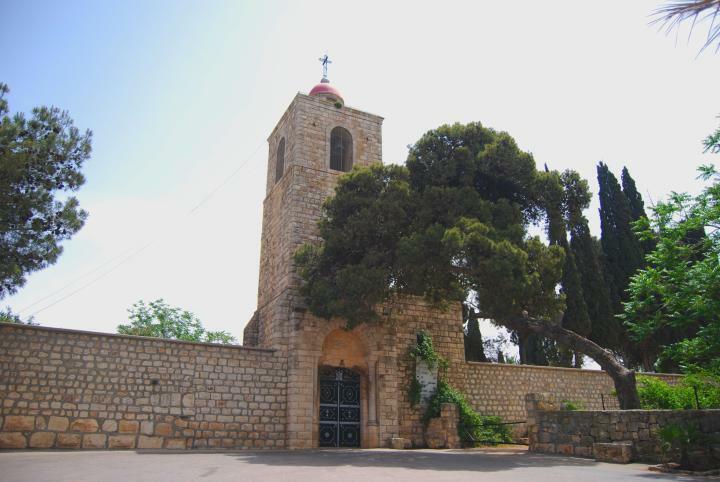 On the north-east side of the top of Mount Tabor is the Orthodox Monastery of the Transfiguration of the Lord, where Elijah appeared with Moses before Christ. 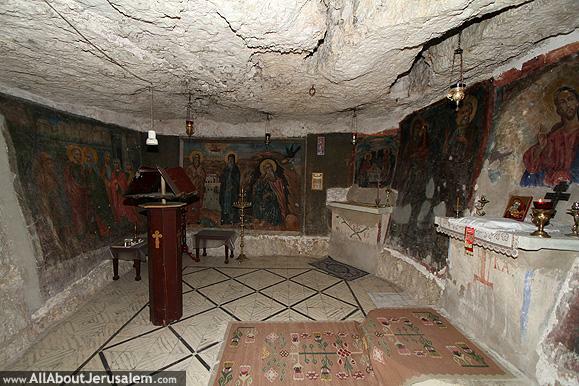 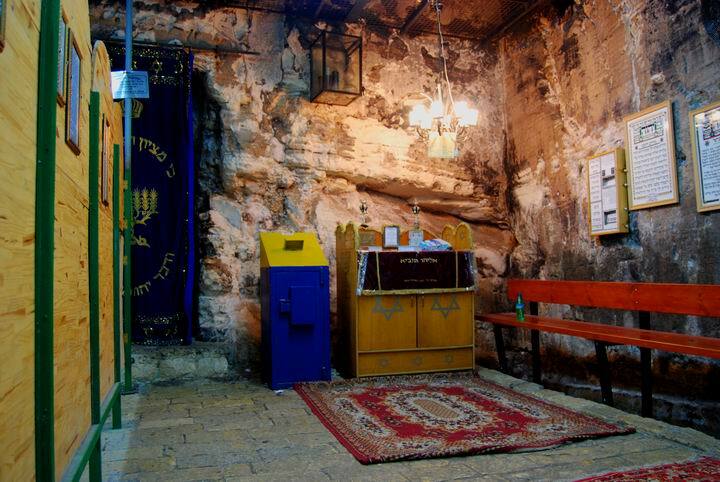 The Cave where the Prophet Elijah was fed by the raven. 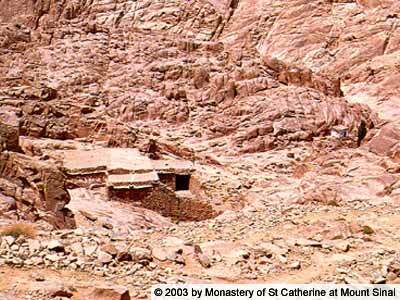 There was already a chapel at this site in the fourth century.